Create your dream home with Carpet Fit Wales! 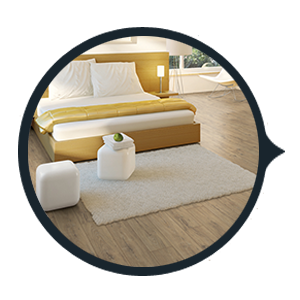 Carpet Fit Wales have a range of services, with an enviable track record and a team of professionals to back it up. Take a look at what we can achieve in your home or garden. Each Woodpecker floor carries 25 year reassurance of confidence. Your satisfaction depends on care and attention to detail, such as the selection of trees before they are felled and how the timber is stacked and dried. Egger are a family owned business that started in 1961. Quality is second to none and their range of products is extensive. They are a true eco pioneer within the flooring industry and have invested in sustainable forestry for 25 years. Family owned and run since 1919, Altro share family values. Altro care about you, each other and what they do. Altro are passionate about creating a great experience for you, wherever you are in the world – and wherever we are in the world. Looking forward to the future and next 50 years of innovation in flooring, Amtico celebrate unrivalled success in design, service and manufacturing. Oryzon® grass “Made in Belgium” is the brand of artificial grass by Orotex nv. Oryzon® grass represents a wide range of tufted artificial grass qualities which can hardly be distinguished from real grass. Affordable luxury. Contemporary styling. Practical features. 100% Bleach cleanable carpet. Quality runs deep whether it’s Carefree’s high-impact display systems or their extensive portfolio of polypropylene carpet, wool carpet, vinyl & wood flooring. Thomas Witter Carpets, British style and design at it’s very best. One of the UK’s leading carpet brands, using the very best British Wool yarns, award winning ranges cover a wide range of stylish finishes and colours. Vusta floors emulate the colours, textures and characteristics of natural wood and stone so you can get the authentic look in your home, without the drawbacks. Based near Manchester, England, Polyflor is a major manufacturer of commercial floor space coverings, operating successfully throughout the world. There is more than you think to a floor! Did you know that Carpet Fit Wales are able to give you a full survey on your current floor and advise on what substrate (if any) need to be applied. We have choices of underlays and thermally efficient materials to make sure your home is more eco-friendly and your floor creak free. Carpet Fit Wales supply all traditional flooring from the best and most trusted manufacturers in the UK. Pop into our show room and feel the quality and craftsmanship for yourself. Hundreds of styles and designs always in stock or ready for next day delivery. Carpet Fit Wales now stock a large selection of man-made grass. Our grass is of the highest quality with UV protection and more blades per meter square than any other grass.